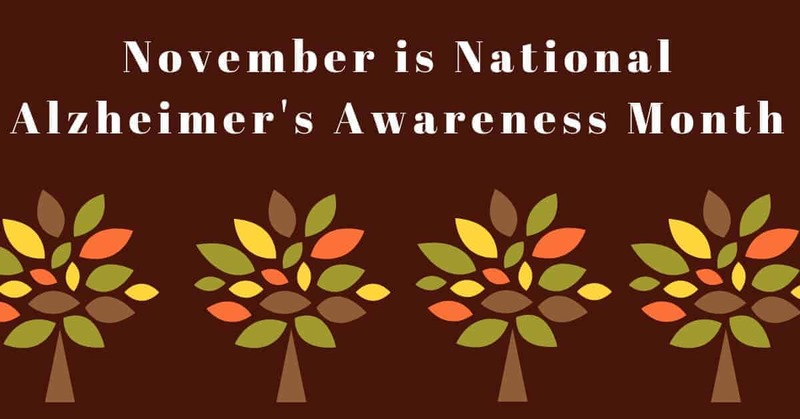 In addition to ushering in a festive season of holidays and celebrations, November is National Alzheimer’s Awareness Month. In 1983, President Ronald Reagan designated November as the month to raise awareness on this devastating disease. Here at Hearing Group, our commitment to hearing health leads us to explore the link between untreated hearing loss and dementia and Alzheimer’s disease. As families gather together in record numbers this holiday season, many of us look forward to the opportunity to catch up and share our experiences from the year. For people with untreated hearing loss, the holidays may be a daunting time. With festive music in the background and multiple conversations occurring concurrently, difficulties with communication and speech recognition may deter people from socializing. For many, the experience of untreated hearing loss has been described as being able to hear, but not understand. Over time, with untreated hearing loss, people are more likely to withdraw from their relationships and avoid social gatherings. Unfortunately, social isolation is named as a major risk factor for dementia and Alzheimer’s disease. Recent studies have revealed a link between untreated hearing loss, diminished cognitive abilities, and a possible risk for dementia. At Johns Hopkins University, Dr. Frank Lin and his team of researchers have found a strong correlation between untreated hearing loss and dementia. In one study, Dr. Lin and his team tracked 639 older participants and tested their cognitive abilities over a period of 12-18 years. Their findings show that participants who did not treat their hearing loss showed a decline in their cognitive abilities compared to counterparts who treated hearing loss with the use of hearing aids. Hearing happens in the brain through a sophisticated auditory process. When our ears pick up sound, these sound waves travel through the middle ear into the inner ear, where they are translated into neural signals to be processed by the brain. With hearing loss, a breakdown in this process could affect cognitive abilities. A person with hearing loss may struggle to make sense of sound in their environment and struggle with conversation. As a result, the brain must work harder to make sense of these fragments of sound. When the brain undergoes this process over and over again, this creates a heavier “cognitive load,” which simultaneously tires out the brain and detracts from other processes. Researchers theorize that this experience could open up a risk to developing dementia. Another causal relation between hearing loss and dementia lies in the experience of social isolation. With untreated hearing loss, people may begin to experience higher levels of stress and anxiety when it comes to communicating with others. When this anxiety becomes too great, people may find it easier to simply avoid events with challenging noise environments. Unfortunately, social isolation could have detrimental effects on our cognitive abilities in the long-term. Social interactions are crucial to keeping the mind sharp, providing new stimuli when taking in new information, responding to questions, or making appropriate follow-up comments. This intermediary link of social isolation may be the key to the connection between hearing loss and cognitive disorders such as Alzheimer’s disease. This holiday season, why give yourself the gift of better hearing? The benefits of treatment and assistance for hearing loss are immense. You and your loved ones can experience the joy of easy and clear communication once again. The first step to better hearing – and cognitive – health is to contact our team at Hearing Group to schedule a hearing test and consultation. If a hearing loss is detected, our team will work with you to find the best course of treatment. The most common treatment for hearing loss is the prescription of hearing aids. With a diverse range of features and technologies available, we will work with you to find the perfect devices to seamlessly fit into your life. Reconnect with your loved ones by contacting us today!